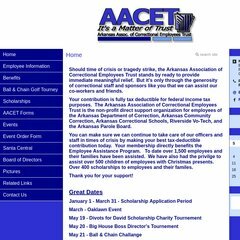 Topics: Employee Information, Aacet News, Benefits, Employee Assistance, Delta Dental, and Delta Vision. It is hosted by Theplanet.com Internet Services Inc (Texas, Houston,) using Apache/2 web server. Its 2 nameservers are ns.dayoneweb.com, and ns2.dayoneweb.com. PHP/5.3.3-7+squeeze3 is its coding language environment. PING (74.54.217.59) 56(84) bytes of data. Pinging the server, resulted in a 32.5 ms response.